Awesome example of citizen science making a difference. The results of Jackie Stroud's worm survey published today, suggesting huge savings could be made in farmland soil health monitoring. The absence of deep burrowing worms on 16 percent of fields is concerning, says Dr Stroud, because they are ‘drainage worms’ with vertical burrows that aid water infiltration and ultimately helps combat waterlogging. The success of this pilot project has already led to a much larger study, which recently concluded, says Dr Stroud. 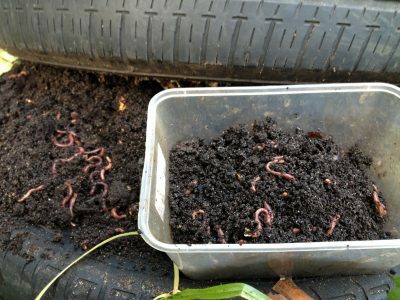 “Decisions made above the ground, whether by farmers or policy makers, influence the billions of earthworms that are engineering the soil ecosystem below the ground. The work is funded by the Natural Environment Research Council (NERC) with facilities provided by the Biotechnology and Biological Sciences Research Council (BBSRC).